When prospective members come to your club to take a look around, they are not just assessing the amenities of your business, but they are also evaluating your staff in terms of courtesy, friendliness, and professionalism. A great way to give your team an even more professional look is with the right uniform. There are some great separates found from online uniform merchants that can comprise the perfect country club uniforms for your distinct club. Depending on the atmosphere that you want to eject to the visitors and members of your club, there are various aprons, shirts, pants, and ensembles to suit the setting and give your club a bit of personal flair. This provides an easy way for those visiting your club to identify who works there, and who to ask for assistance or help when needed. There is a polished, chic look to a club where each staff-member has a neat and contemporary uniform and this equates to a look of pride among the employees. There is no better way to groom an air of confidence and unity among staff than a really attractive, well-fitting uniform. Consider this when looking at ways to enhance or restore your current club. It was a pleasure to finally meet these three beautiful and talented ladies: Iqui, Marga and Jenny during their church concert at the Römische Katholische Erlöserkirche in Zürich, Switzerland last June. They were on a three-month European tour and I was hoping they would also perform in Germany. Unfortunately, they didn't have anything scheduled for Germany and the closest performance venue was in Zürich, Switzerland. The two and a half hour drive was worth it. They just play the classical guitar so beautifully... mesmerizing your very being. They played folk songs like Usahay, Leron, Leron Sinta and Si Filemon, Si Filemon, classical Spanish and contemporary songs like the Queen's Bohemian Rhapsody using various classical guitar techniques during their performance / mini-concert. I also got an autographed copy of their first album! It was a great accompaniment on our way home from Zürich to Stuttgart... with a stunning sunset view on the way! 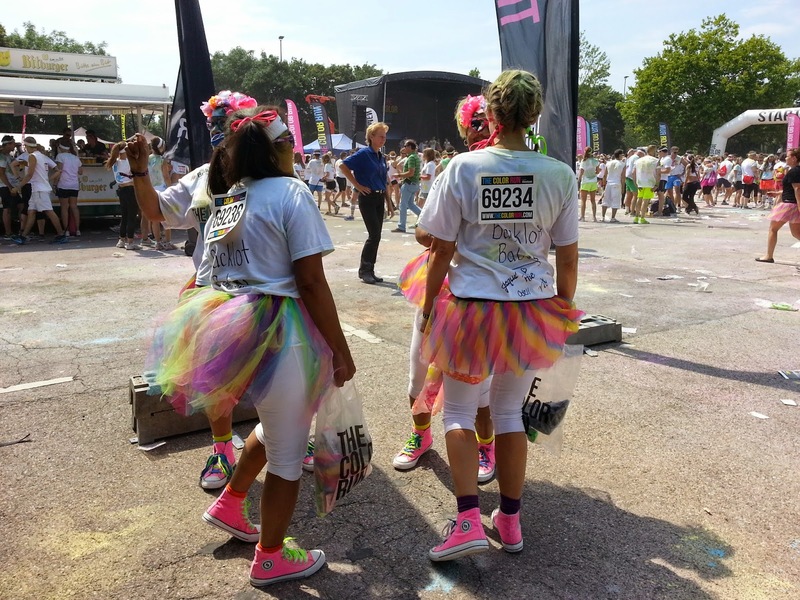 Kudos ladies! And may you continue to move and captivate people with your unique musical style! And oh, my CONGRATULATIONS for bringing home the Gold in the guitar ensemble category during the Tarrega Malaysia International Guitar Festival 2014 in Klang, Malaysia. I am one proud friend! Remember the story of the creation? "Let there be light!" was what our Creator said on the first day... and then there was light. In our modern world, lights have played a major role in our day to day activities. We use them to light up our streets in the dark of night, to brighten up a room or highlight a display, to add up to the ambience of say a restaurant. We especially pay attention to lights during the holiday seasons because they add up to the festivities. The brighter and more sparkly the lights from ChristmaslightsEtc.com are, the better! Seeing bright and twinkly lights always draw up attention and makes you feel the wonder and beauty of it all. But of course there is more to Christmas than just lights. Did you know that Christmas lights started in Germany? Upper class German homes in 18th century used candles to decorate the Christmas tree. Then people started using candle holders as part of the decorations and also glass balls to put the candles in. Years passed and electricity was then discovered and the light bulb was invented. From then on, it evolved into the Christmas lights that we so enjoy today: they come in many different colors, dancing in rhythmn with the Christmas carols that come in the package. Also, in the olden days, people used fire, oil lamps, wax candles to lighten up the night and bring warmth in the cold days. I remember touring the Neuschwanstein Castle in Bavaria, Germany and saw the high chandeliers which needed to be lighted up every single night with hundreds of wax candles. Imagine the labor that comes with lighting a candle chandelier, which needed to be repeatedly done once the candles melt down. But thankfully, artificial lighting technology evolved through the years. Aren't you just glad you are born in this generation of LED lights? A birthday party will not be complete without the games. 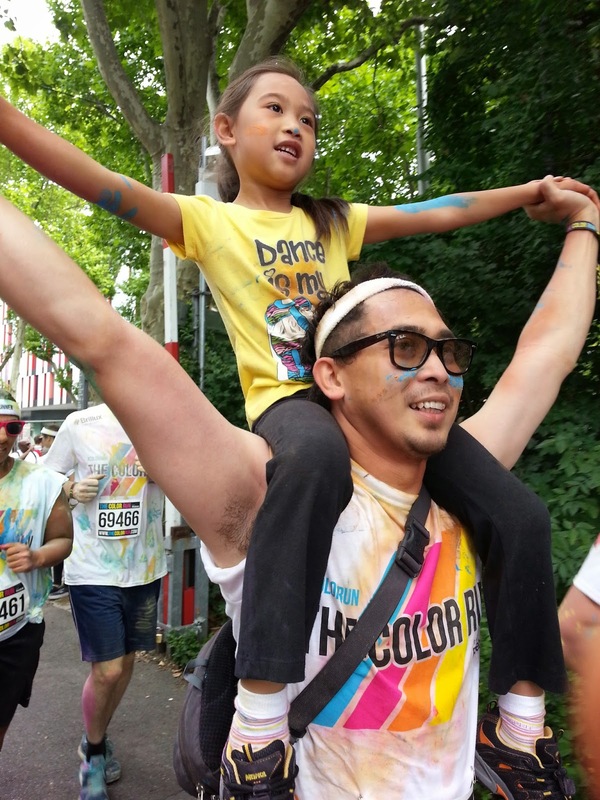 Kids and kids at heart always look forward to an activity-filled party so it is important that you prepared some activities that the kids will enjoy. 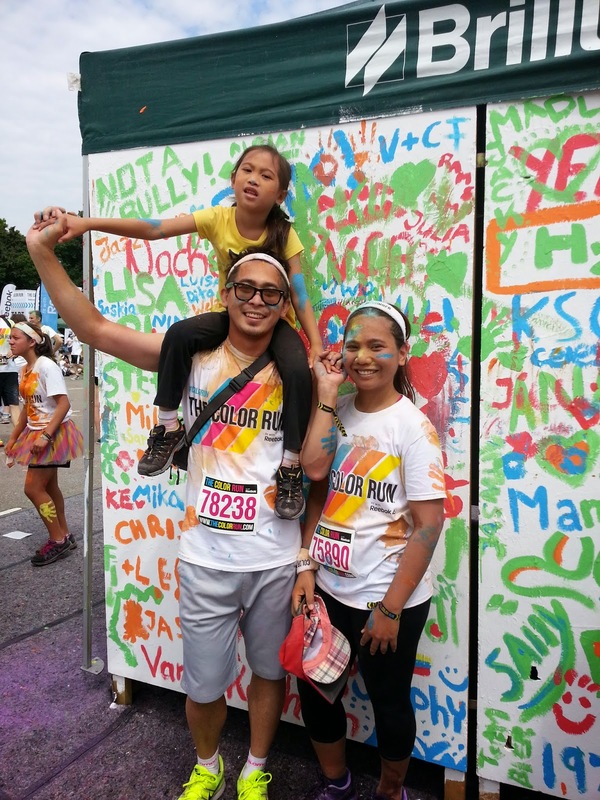 At the end of the day, our objective will be to let the kids go home happy and say that there never was a dull moment. 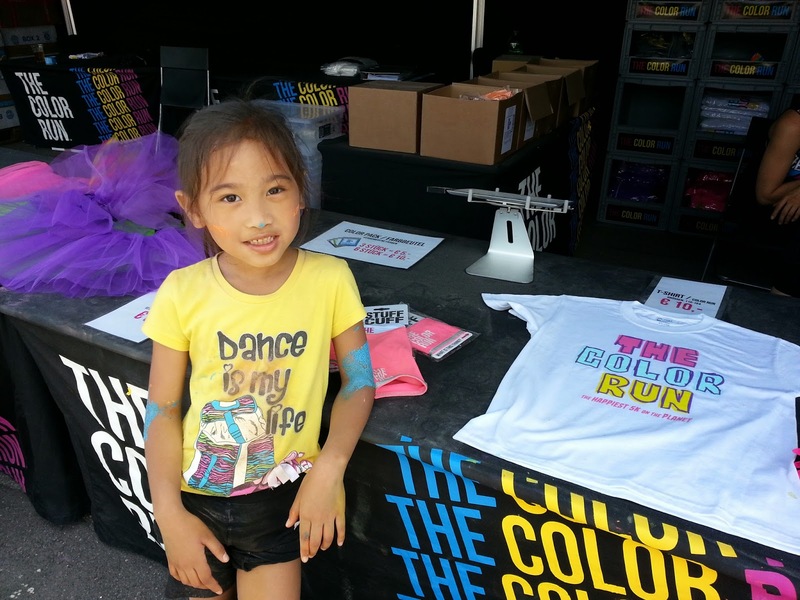 We just had some typical birthday party activities and modified some of them to fit the theme. This is just hand-crafted since there are no Frozen-themed pinyatas available at the local suppliers. 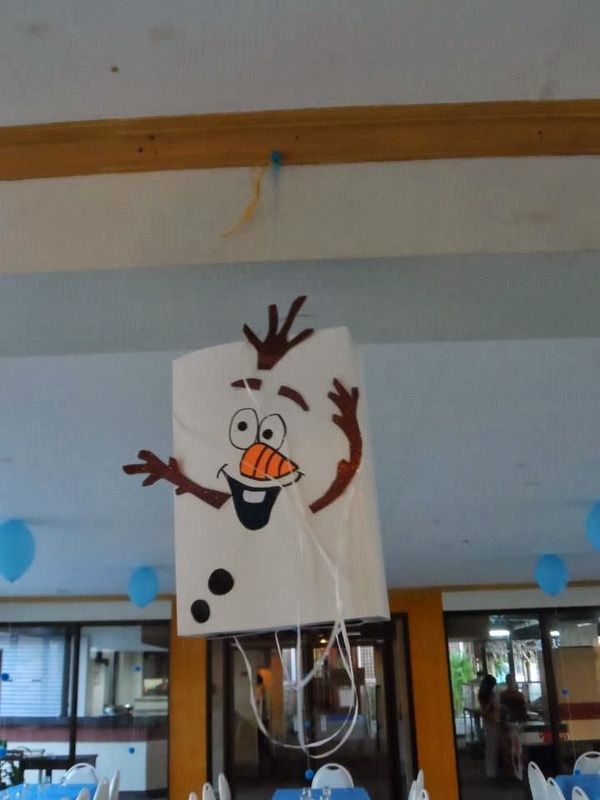 What my sister did was paste together cardboard paper to form the body of Olaf and then she covered it with white cartolina. They then cut out Olaf's hands, hair, buttons, carrot nose, mouth, eyes and eyebrows using the rest of the rubber sheets and colored cartolinas. At the bottom, she made a flap and tied white plastic ribbons that the kids can pull. 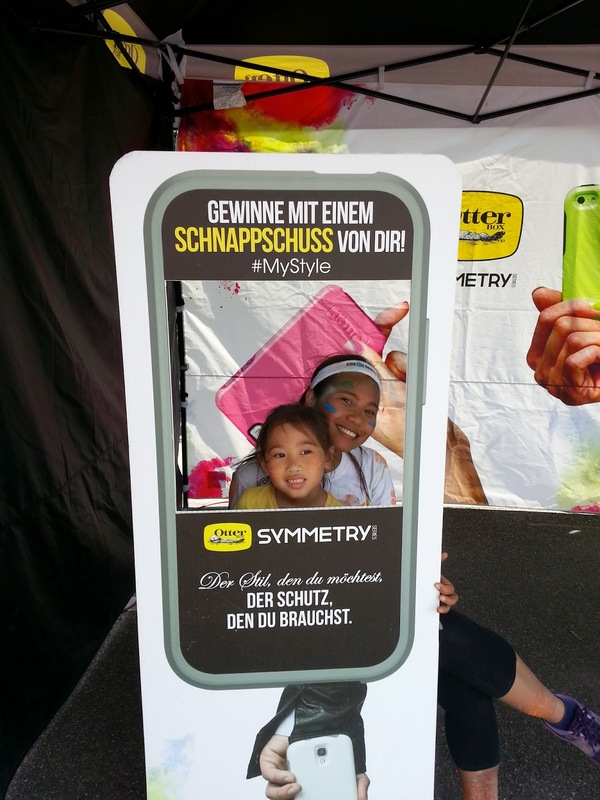 We filled it with sweets and other goodies for everyone to enjoy! 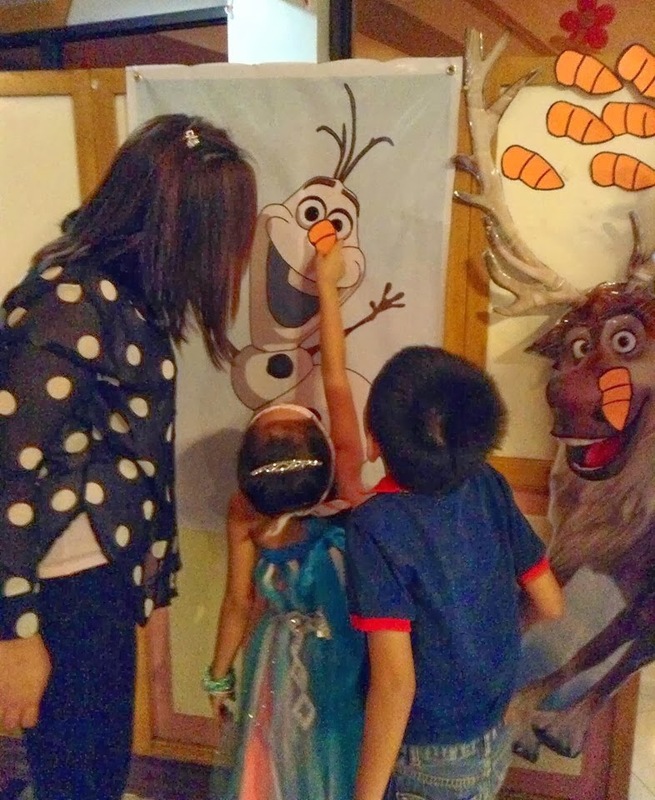 For this game, I just had Olaf printed on a tarpaulin, minus the nose of course, and mounted it on a flat surface. Then I cut out carrot figures proportional to the size of Olaf on the tarpaulin and pasted double-sided tape on each carrot. We then asked the kids to line up and had each take their turns "pinning" the carrot on Olaf blindfolded. It was really a fun game that the kids enjoyed they wanted to "pin" again. So just make sure you have enough carrot noses at hand. 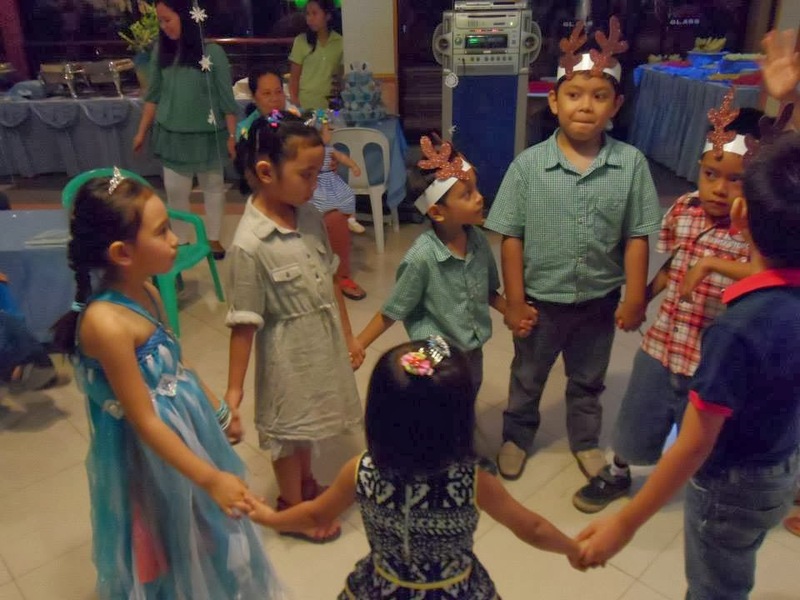 This is just your traditional stop dance game where each kid should "freeze" when the music stops. We modified it a bit when the number of kids went down to 3 so we can determine the best "frozen" dancer. Instead of freezing when the music stops, they should dance instead and freeze when the music plays again. Who do you think won this game? My daughter just celebrated her birthday. 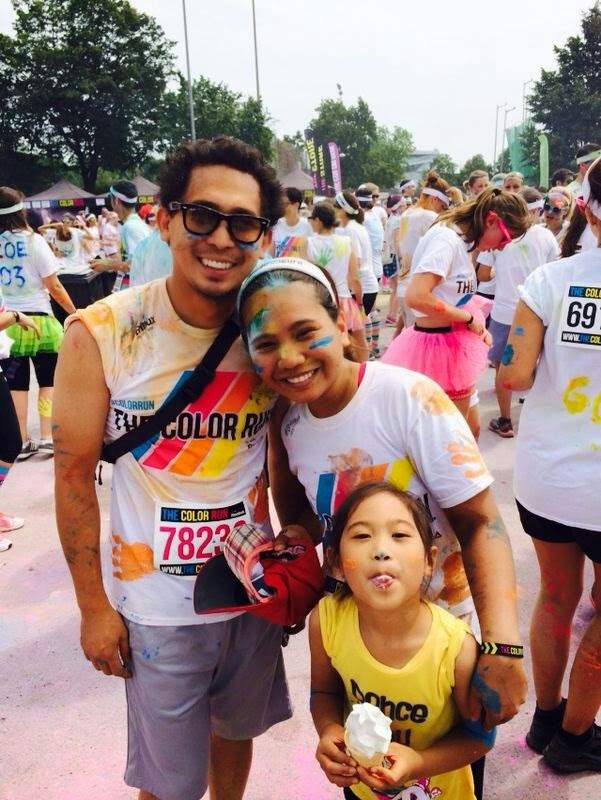 Next in line in the family who will turn a year older will be and then my husband. Hubby and the little girl surprised me with a tablet last Christmas so I guess it is time for me and the little girl to do the surprising for the husband's day. He has lots of interests lately, mostly involving the great outdoors. 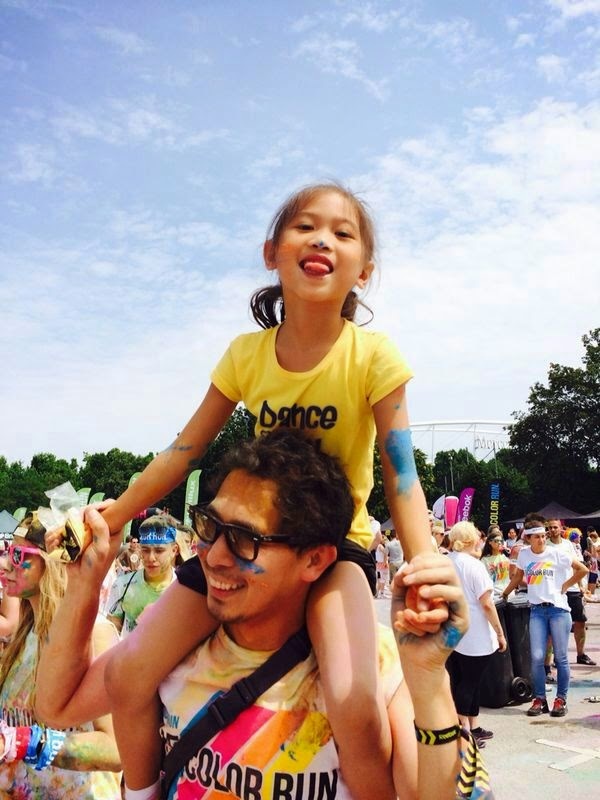 He enjoys swimming, rock climbing, hiking and snowboarding. He spends a lot of time outdoors as it allows him to let off steam and clear his mind after a hard week at work. Whenever he is out, he has the tendency to be engrossed in the moment he sometimes forgets about the time. Perhaps a sports watch will help him to keep track of the time. I've began looking into all sorts of sports watches, including the TAG Heuer FORMULA 1, which I think really looks nice. It is not so bold looking but at the same time very sporty. This will just suit his personality. Having a watch will help him manage his time better and will help him to plan on his steps. He could also use some gadgets that I think will be very helpful when he out. A GPS tracker to help him navigate his way in the mountains, a power bank to keep his smartphone running, and some backpacking gears. My precious little Princess is finally six. She celebrated her birthday last Friday, February 28th and I can say that she really enjoyed it. After all, she was dressed up like Elsa, the beautiful and nice snow queen from the Frozen movie. 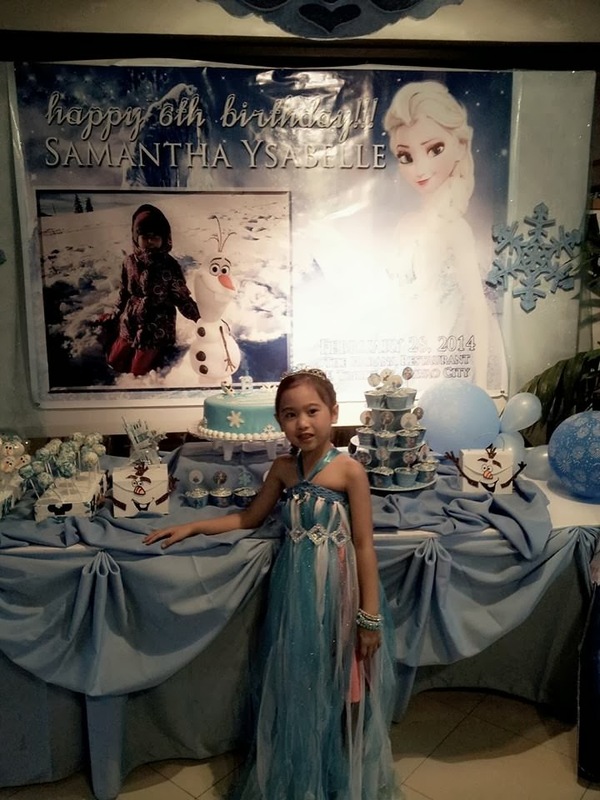 After seeing the movie for the first time here in the Philippines, she immediately told me that she wants a Frozen party. 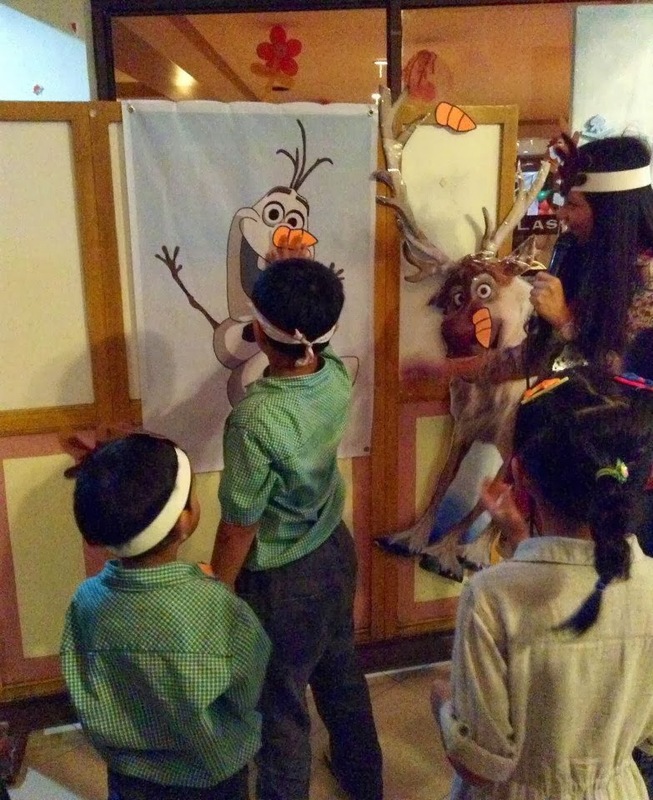 So a Frozen party it was! I only had barely a month to plan for this party for her and I am lucky because I've got two creative sisters and equally creative and crafty cousins who readily volunteered to help me out. It wasn't a breeze planning for this party since we were limited to what's locally available. After all, in a tropical country like the Philippines, who would even think to supply winter-inpired materials except during Christmas? 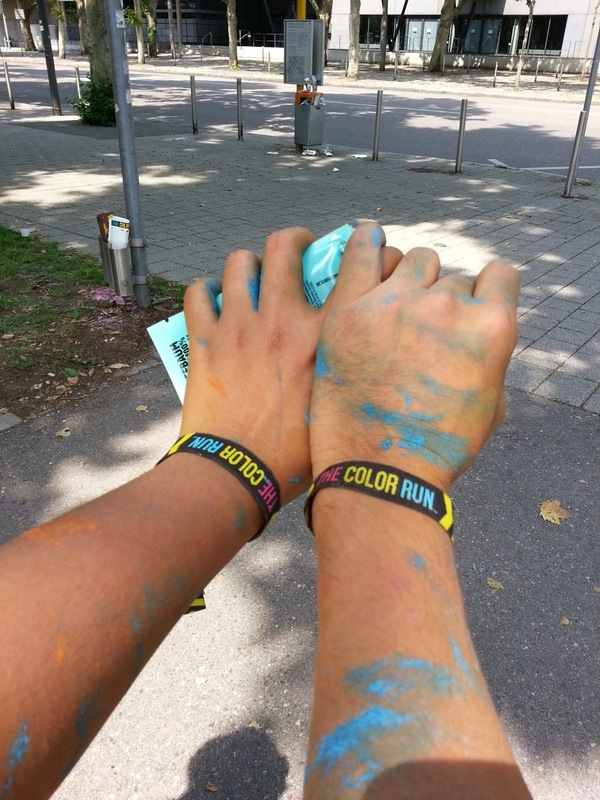 But we managed to do it! I can't thank these wonderful girls enough! The star of the day before her birthday cake and cupcakes. She chose the dress from the many images we found on Pinterest. It was a tutu dress which my cousin made for her. I bought the tulle, organza cloth and the ornamented ribbon from a local department store here and my cousin did the rest. Underneath, she wore a tube dress (which unfortunately was pink since there was nothing else available at the department store when we bought it) to prevent her from itching. Playing a game of Frozen Dance to break the ice. For the party hats, we went for the Sven antlers for the boys and tiaras for the girls. The pattern for the Sven antlers we got from My Sister's Suitcase blog. The tiara was also cute and I initially wanted to make it too! But it was difficult to get the rubber sheets (or craft foam) and we only found the brown ones with glitter on them so we only managed to make the antlers. 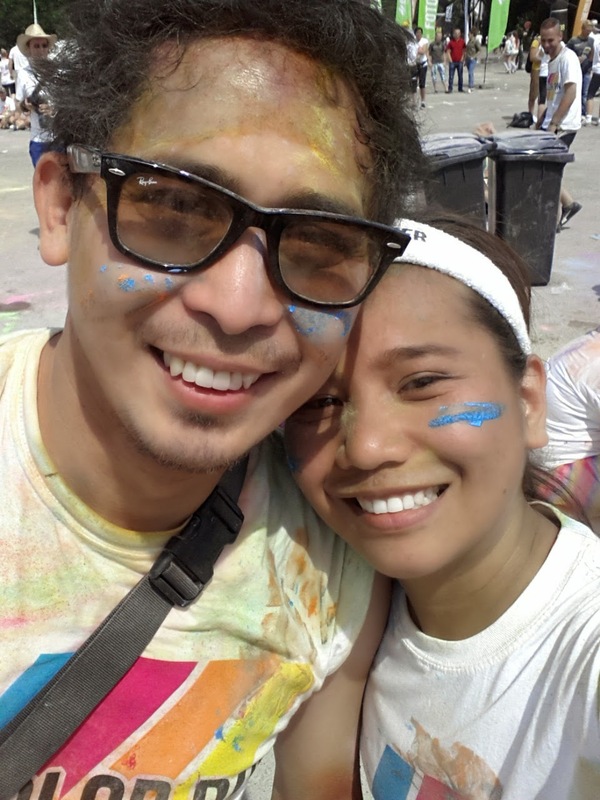 Luckily, we found the plastic tiara at a local party supplier for only Php 3.00 each so it was really a good buy! 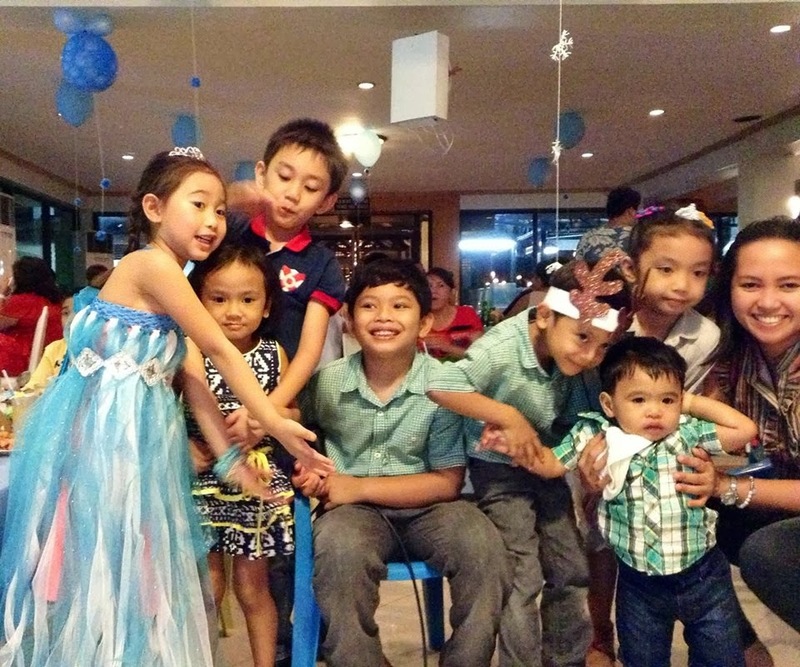 Wacky pose: the birthday girl with her cousins. So it's beginning to warm up here... and I mean temps going to as high as 32 degrees (but feels like 42 degrees). Ugh! The scorching heat of the sun bites through the skin (literally!) that I wish I could just soak in a tub of cold water forever. But taking a bath for my little girl is another story. I would have to heat up water first to mix to her bath water so she doesn't get goosebumps and shiver while in the bathroom. Which would make me end up wishing that we have a heating system that will allow me to have control over thebath water temperature. Hot water heating calgary anyone? Now that summer is just around the corner, it is really essential that we have a good supply of water so we can indulge in taking long cold waters without worrying about water running out. In the place where my MIL lives, water during the day is a problem because their area is elevated and there is a large shopping mall just nearby. We don't stand a chance of getting water in the day. And we would have to store up water in big containers in the late evening or during the dawn depending on when the water supply comes back just so we can have water for washing, bathing, cooking and laundry. Which makes me up wishing (again!) that we have a water tank to hold in an ample amount of water. I wish I could just call up someone to install a cold water tank in our area (or even hot water tanks calgary). Then we wouldn't have to worry about water running out. 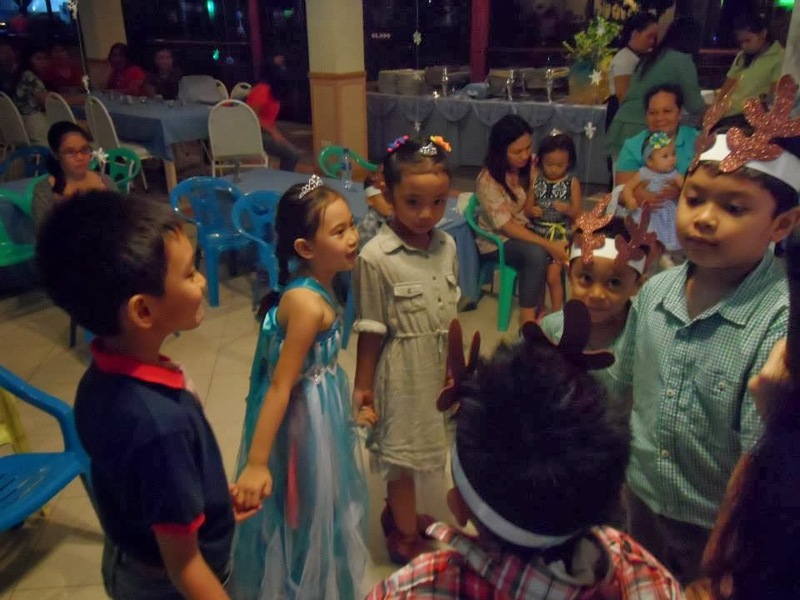 My daughter is turning 6 soon and since arriving here in sunny and warm Philippines, she keeps on watching the Disney film "Frozen" and fell in love with it. She is even trying her best to master the song "Let It Go" and I have to help her translate since she doesn't understand the entire lyrics. She is almost there so maybe on her birthday, she will be able to sing it. Crossing fingers! When I asked her what kind of birthday she wants to have, she told me she would like a Frozen party, complete with all the snowflakes, snowman and Queen Elsa dress! It will be a challenge for me since it's warm here. Thankfully though, it is a very popular theme these days so party ideas are readily available on the Internet. So I have to start one step at a time. First I need some printables for the invitation. 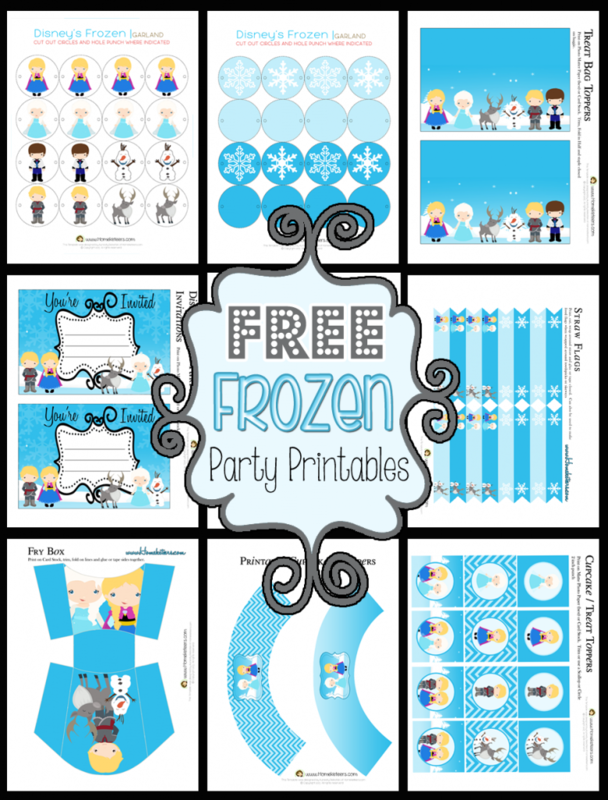 Am so glad I found these Frozen Party Printable Set for free over at Homekeeter.com! This set includes Frozen Printable Invitations, Cupcake and Treat Toppers, Fry box, Cupcake Wrappers, Garland, Treat Bag Toppers, and Straw & Food Flags. 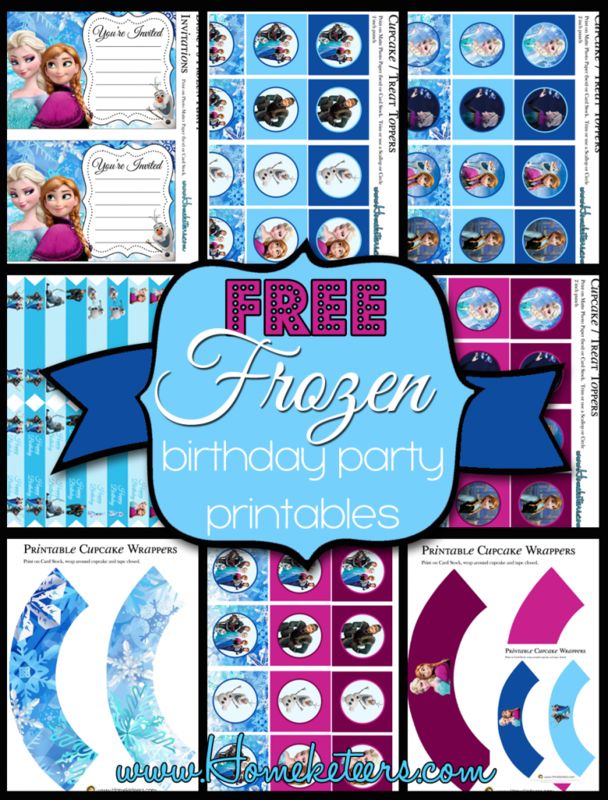 There is another Free Frozen Party Printable Set available with the same elements but with the characters themselves and not the sketched version. As for me, I like the first one better with the different hues of blue. It gives a more wintery and cool feel to it. So there! That's already one item off my list. Yay! Perhaps you are familiar with the term NIMBY. It is the acronym for "Not in my backyard". While we are concerned about our surrounding's cleanliness, we actually do not care much about what happens to our garbage once the garbage truck has collected it. When there is a tree being felled in the neighborhood, we actually don't like it when the branches and leaves are scattered all over the street. Oh no, NIMBY! There is actually a simple solution for keeping huge amounts of trash in an orderly fashion. While garbage bins wiltel be the usual answer for home garbage disposal, there is what we call dumpters to hold waste that are too large for the trash bins. What is this dumster service for? It actually has lots of practical uses. If you are renovating your home and have lots of waste construction materials like concrete, wood, iron bars - having a dumster allows for easier trasport of these waste materials to your city's landfill or incinerator. If there is a big event in your school or community and you are expecting a big volume of waste generation, it is also a good way to have a dumster bin or two where all the waste will be collected. That way, it becomes easier to collect and transport it. Ready for Spring Cleaning 2014? I am actually looking forward to doing some Spring Cleaning myself since our basement storeroom is already full to the brim. It is high time we sort some stuff out and organize them. But I guess it will be impossible to do the spring cleaning since I will be away in warm and tropical Philippines come Spring. It would also be great if I can have commercial carpet cleaning toronto done to our living room carpet since it is already dirty. I do vacuum it every now and then but the stains are becoming more visible with each day. It also looked already worn out so either we have it cleaned professionally for it to look like new again or get a new one. Which would you choose doing? And one more question: do you ever clean your beds, more so your mattresses? I would air the beds and vacuum it once in a while since we have a family member who is allergic to dust. But sometimes, I would forget all about it for so many reasons and would be guilty if I hear sneezes. If you are spring cleaning, consider mattress cleaning toronto. I think the bed is one of the places where we spend a great part of the day in, at least 8 hours if we don't sleep in, next to school or our workplace so don't you think it deserves the thorough cleaning it needs? Make sure you have a checklist for spring cleaning. Where you want to start, the materials you will be needing, who is responsible for cleaning or organizing that area, and how long it should take. That way, you are able to optimize your time. Whether you work from the outside going in or inside going out, just make sure that you focus on that area. That way, you don't end up starting on many different things at once and never finishing anything. Good luck and have fun! We were set to go sledding on the second day of Christmas (December 26). Everything was set: sleds, snow clothes, even the hotel where we were supposed to spend the evening. But when we arrived at Silvretta Montafon, we were disappointed since the sledding track was closed due to very small snow cover. It hasn't snowed for quite a while.. It was snowing on that day though and up in the mountains, the situation was different. We went hiking anyway, since we were already there. It would be a waste of time, fuel and effort if we didn't go up the mountains to enjoy the snow right? And so hike we did. We took the cable car (Hochjochbahn) from the Hochjoch station up to the Kapell station and then started trekking our way down to the Middle Hochjoch station. It was a good thing that we brought one sled with us so the little one can sit when her feet get tired from walking. No one went sledding that day since it was closed but we still had some sledding fun every now and then during our hike. It was a 5 km long sledding course with gentle slopes, perfect for families and children and I can just imagine how much fun it would be if it was only opened. You also have a very natural setting, with a very beautiful pine tree forest in the background. On normal days, one can sled this 5-km stretch in as fast as 20 minutes but in our case, which was just walk, sled and more walk, it took longer. There was some good snow cover in some parts, especially in the higher area but as we trekked further down, we realized why they closed the sledding course. I think it took more than three hours and landing on my po for a few times before we finally reached the Middle Hochjoch station, where we stopped briefly at the restaurant to empty our bladders and fill our bellies with hot mugs of chocolate drink before we descended to the Hochjoch valley station. If you are interested in sledding at Silvretta Montafon in Vorarlberg in Austria, you may buy a day ticket at the Hochjoch station or online. It costs €23,20 for adults and €14,40 for children.